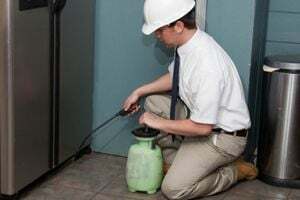 E & G Exterminators, Inc.
AAA Termite & Wildlife, Inc. Comment: Mice are getting in my garage. See droppings. Comment: home is being sold. Need an evaluation to see if there are termites or other wood destroying insects. Comment: There is a possum residing in my garage that needs to be removed asap. Comment: there is scratching in the walls. I think there is a rodant in the attic. Comment: This information is needed for the First Baptist Church of South Plainfield. We are constantly getting mice in the church and attached building. We have used sticky traps but after a while the mice come back. We can't use poison because we have children using these rooms. We also have a kitchen where we have snacks stored for the children. South Plainfield Pest Control Services are rated 4.74 out of 5 based on 2,182 reviews of 29 pros. Not Looking for Pest Control Contractors in South Plainfield, NJ?